HAH! MY TEACHER SAW THIS BEFORE YOU! And the square root of the answer is 42. HAH! I SAW THIS BEFORE YOUR TEACHER! my teacher always said math is everywhere. I never believed her until now. HAH YOUR TEACHER IS A HIPSTER! HAH! I JUST SAW THIS FOR THE FIRST TIME! the answer is only 42 in base 13 and 6.4807407 is not the square root of 42 in base 13. you have just been taught math on the internet. congratulations. And here I thought the word "vans" was the easter egg. Im dumb. Who knew such a sporty shoe could be so nerdy. Hehehehehehehe, hahahahaha, MUAHAHAHAHA! I hope that figured out how to comment. One time, I pooped myself at an Easter egg hunt and the mental anguish was enough to send me to therapy for two years. I saw this before you so HA!! 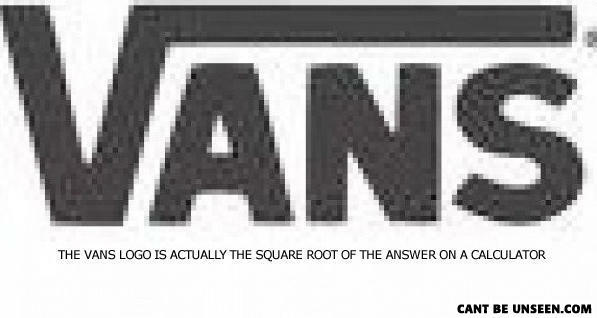 Square root of "Ans," which is French for "years." Answer; Seasons. A white man a black man a french man and a mexican are on a sinking ship.